being silly and doing whatever. The last shot is the view in the evening from my balcony. I swear that view will never get old! gorgeous photos, i love your dress!! You are so elegant! I like a straight cut of your coat! Nice outfit, love the red bag! love your outfit! your red bag is gorgeous! I'm so jealous that you get to feast your eyes on such an amazing view every day!! Loving this outfit...the combination of navy and tan always has a lovely retro vibe for me. Also loving those glasses :) Have a lovely weekend! love your dress and that bag! I love your coat so much! You always have some great bags and jewelry in your outfit posts! Inspiring! 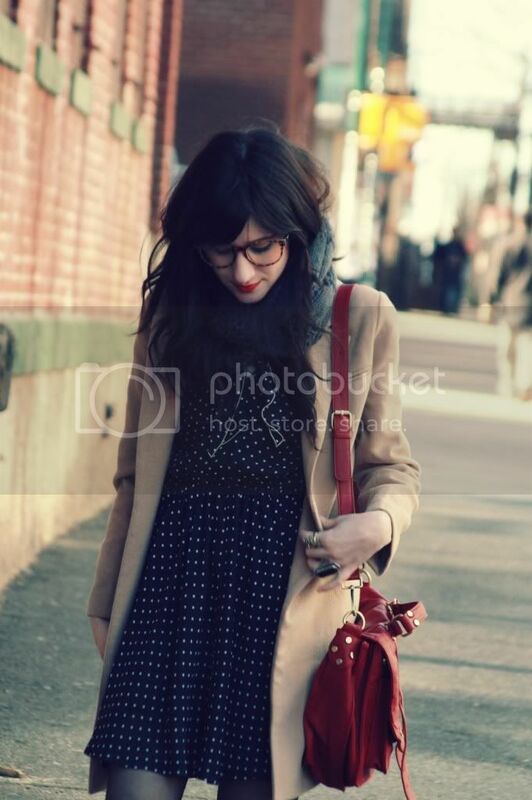 I love your polka dot dress, your coat, and your bag! So cute!! Super cute photos. Love your glasses and the bag. Your scenery photographs are amazing! Makes you really love city life, if not for the fast pace, then definitely for the awesome architecture/views. I love your glasses Bonnie, they give a totally different dynamic to your look! Sweet dress and bag. You guys look great! Bonnie, your polka dot dress is adorable! Love your red bag!! This outfit is terribly cute! 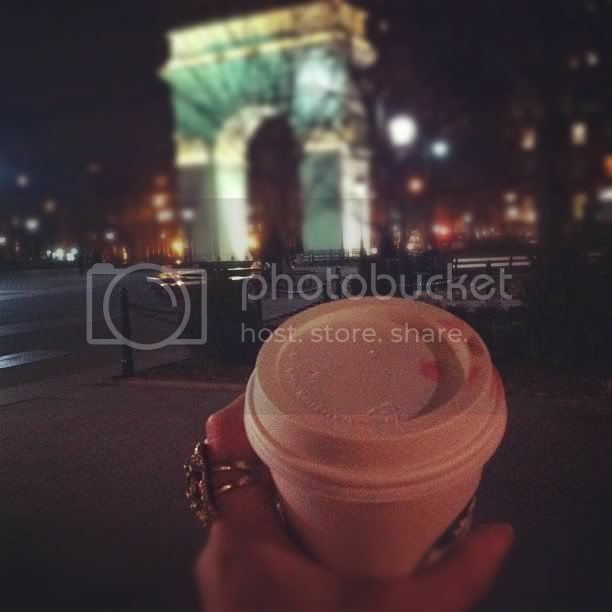 I love the photo of the coffee in washington park as well. love your bag! hope u had fun in NYC! Lovely! That bag is amazing! This is so great! I love the loafers! Be sure to enter my giveaway!! you are so cute babe! love that look! Love this look- that bag looks so much like a PS1! You are simply perfect darling! 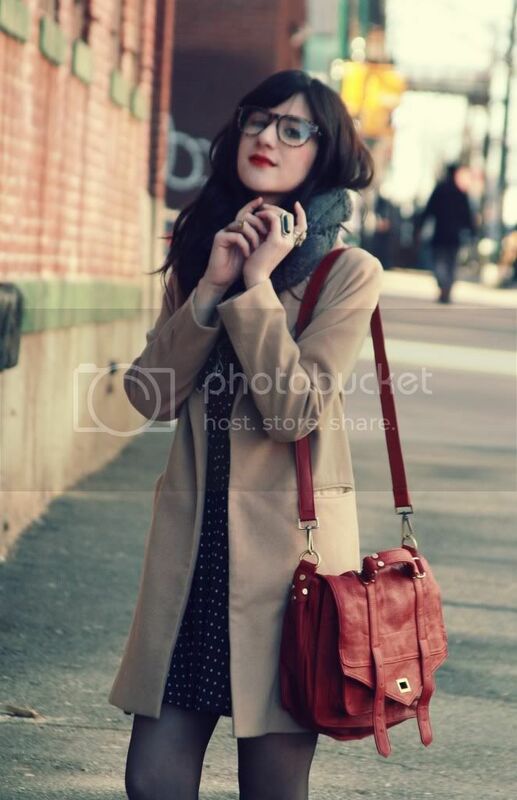 Perfect look - I love the coat and the bag! 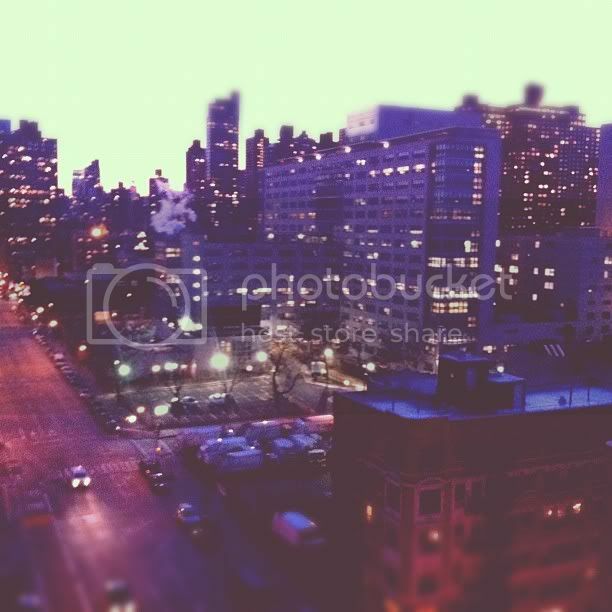 NYC looks beautiful, I've never been but would love to one day. Such a gorgeous view from your balcony btw! what a brooklyn cutie!!! love u in glasses! really like the bag. is your friend wearing mother jeans? love it! you look so preppy! love it! Love your satchel! That view is pretty spectacular...I would love looking out on that every evening. In love with that dress! you are adorable! love the red lip! Love your outfit :) Actually so jealous you're living in NYC! I love seeing bloggers hanging out! Come to California and we can hang out too! polka-dots are always #1 in my book. simply lovely. Where did you find the glasses? Oh! i love your style very girly and so romantic! I love your retro glasses they are super cute. the jacket and scarf are super cute and look very cozy. you make me want a red satchel giiirl! You gals look amazing and having such great time! Love your satchel so much and both your leggings! What a beautiful dress. I'm really loving polka dots on you. i ove your ring as well as everything else! Love your dress and your friend's pants are darling and completely amazing! Such a beautifully tailored coat. It would look amazing with anything! where did you get your glasses? You have a beautiful face and a gorgeous styling! The lipstick is a head turner and the polkadots-inspired dress looks so laid back and fresh. If you're into day dresses, might as well check this out http://www.missesdressy.com/day_dresses.html and get inspired with tons of Fashionable dresses! You ladies look lovely. Love your bag. 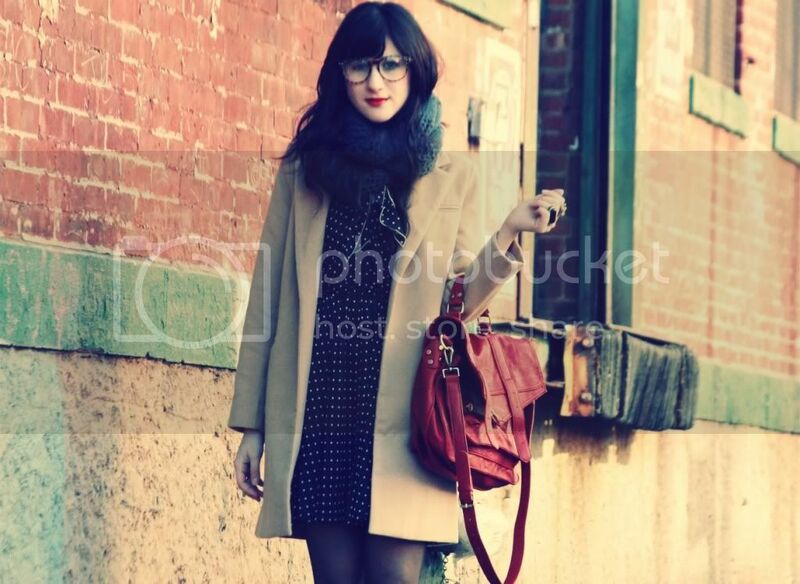 Love the bag, love the dress, love the scarf, love the coat! Everything is just gorge. And I want a pair of black loafers!! Yours are so cute. I simply adore ur beige coat.. Classy! i absolutely adore your coat!!!! LOVE your spotty dress and Natalie's trousers! Pretty, as always :) I adore your pretty dress and that coat! 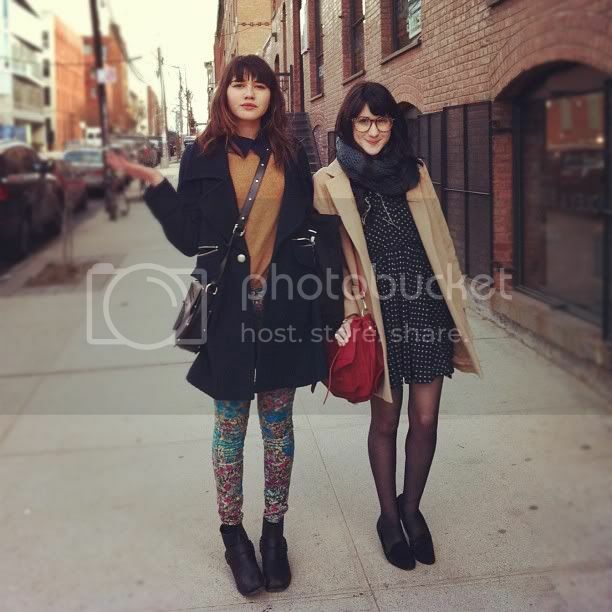 You and Nat are such stylish gals, always! Love this look! You are so cute with your glasses on! 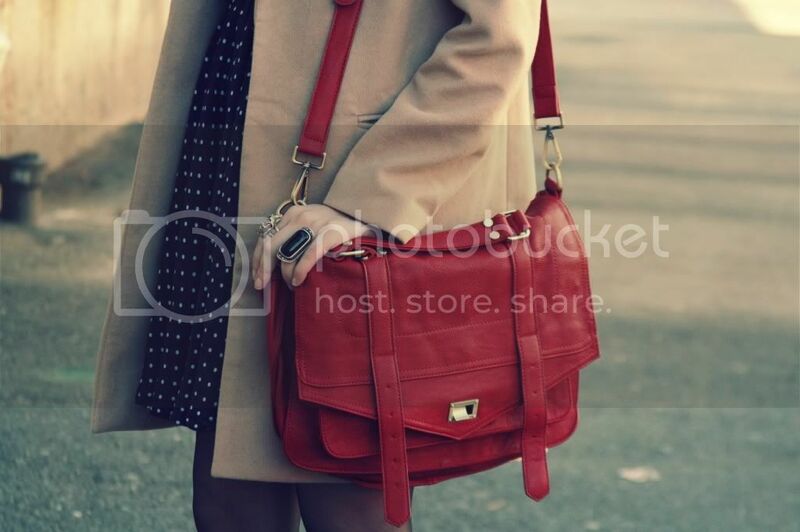 I love the pop of red in your purse against the neutrals in the outfit! I love your outfit so much! My caffeine addiction is getting a little bit out of control too :). Soooooo beautiful! I love this whole outfit! So cute! I love those leggings! Where did you get them? BTW - who takes all of your lovely photos? Love that dress, you are so gorgeous. Thank you for your recommendation.I want to tell youTrue Religion Outlet is also a good choice. Preserving in mind the rapid modifying tendencies with the vogue globe, you have to dress Chinese style have a brand that fits your line of garments all-time. In other scenarios merely Computer Repair Tracking Software a symbol or possibly a indication is enough to generate a brand popular that speaks volumes to the excellent goods. There are several workarounds that could address purchase windows 7 professional this concern by adding back the familiar Get started menu and allowing customers to boot directly to their desktop. These involve open supply goods for instance Classic Shell as well as industrial goods like Stardock?ˉs Start8, which expenses $5. These simple tweaks may be integrated with office 2010 professional plus key Group Policy for enterprise management and remove any further user coaching for Windows 8 deployment.